Sometimes, the size of the car seat does not matter because the car can accommodate almost any car seat. The things worth considering first are the safety of the child as well as their comfort. However, sometimes, other matters come about. Naturally, the most important thing about a car seat (or any other product even though it has nothing to do with road safety) is that it can actually be used. That will never be possible if the car seat simply cannot fit into the car or barely fits. A small car may never accommodate some car seats, no matter how good they are. Why a special kind of car seats is necessary for small cars? Indeed, are all car seats not meant to be used with any car? Do standards not exist? That may be true, however, you have to account for the fact that some cars are outdated, might have been made without any consideration for future car seat installation or are technically compatible with any standard car seat yet with no actual possibility to install one or, if there is such a possibility, the seat would just occupy all the space. On the other hand, some car seats are unnecessarily bulky, huge, and heavy. They may work well with a large car but never with small. The other benefit of small car seat use is that more space becomes available for storage purposes. Since people who own small cars typically use them to the fullest, such a benefit would undoubtedly be very much appreciated. Besides, the free space may be used not only for extra storage but also to accommodate more people. What a car seat for a small car should be? The obvious answer is that a car seat for a small car should be small as well. However, an answer like this does not answer anything since it is too apparent. However, the problem can be easily split. There are two parameters to consider: the length of the car seat and its width. A car seat does not have to fit both parameters simultaneously, although it can be a desirable solution under some circumstances. Cars that are generally small work best with shorter child seats. Some cars are not really compact but their own seats are rather narrow and cannot accommodate full-size child car seats. In that case, a narrower child seat is required. 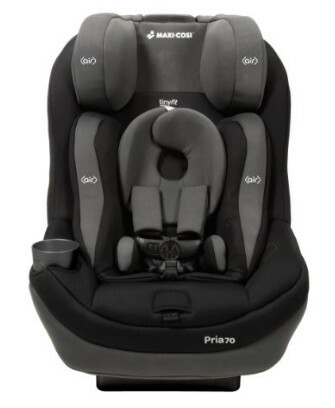 As far as safety standards go, the Pria 70 is a perfect child car seat. It is a two-mode seat and it can be used both for infants and toddlers. Curiously, the seat can accommodate children from 4 to 40 lbs in rear-facing made and from 22 to 70 in forward-facing mode, almost on par with booster seats. This seat, however, is not a booster seat. The seat is equipped with advanced side-impact protection. It utilizes the effect of immediate air release to reduce impact forces in the event of a collision. The FlexTech Construction System manages the kinetic energy of the crash, neutralizing it as safely as possible. The Pria 70 is not the narrowest seat you could get but it is not overly long. It is a good fit for many small cars but not necessarily for those of them that do not have very wide seats. The seat comes with a gripping cup holder and the OneClick LATCH System. All in all, this is a good safe child car seat that can be installed in many small cars. Its price is above average, although it does provide some safety features. 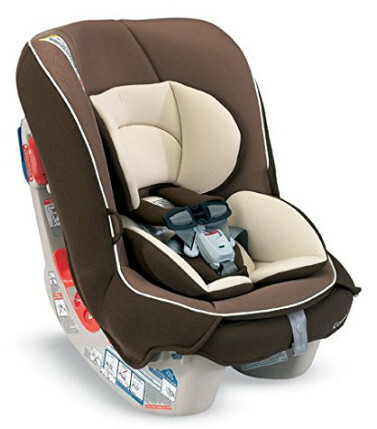 The Coccoro is a very compact car seat, which means it is a perfect choice for this particular selection of car seats. It is lightweight and easy to carry from one car to another because of that. Not only that, the seat can also be installed along with two others of the same design. That makes three car seats in a row. However, it is only an option for the typical cars that cannot be called “compact”. The compact size of the Coccoro seat is not detrimental to its performance and safety. It provides full side impact protection. The seat has deep side walls layered with EPS foam for the distribution of the kinetic energy in the event of a car crash. The child’s head and spine are some of the most vulnerable spots, and the seat keeps them away from harm’s way. The seat, however, can only accommodate children between 3 and 33 lbs in rear-facing mode. It used to be used in forward-facing mode from 20 to 40 lbs, from 1 y.o. age-wise. That is not enough according to most evaluations, even though it could work. Despite that, the Coccoro can accommodate very low-weight children which may be considered a benefit in its own right. Still, provided you use primarily for infants, it is a good choice. The seat costs slightly above average, but it is not the best choice overall. Due to how compact the seat is, it cannot accommodate older children in rear-facing mode. However, it is a perfect choice for extremely low-weight children, starting from just 3 lbs. 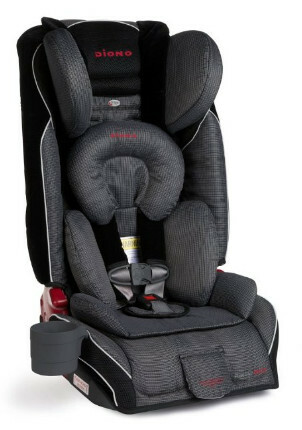 Britax is one of the most well-known car seat brands. They manufacture some of the safest child car seats in the world. The Boulevard is no exception. 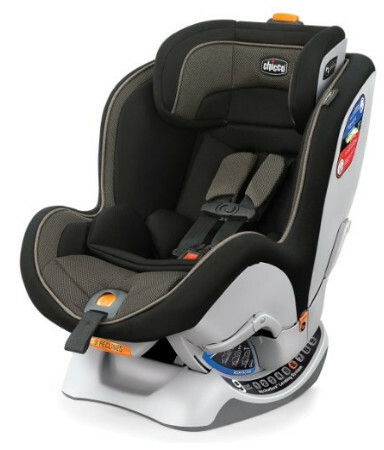 This rather compact car seat can be used in two modes and can accommodate children from 5 lbs to 40 lbs in rear-facing mode and from 20 lbs to 65 lbs in forward-facing mode. Like most other Britax car seats, the Boulevard is equipped with SafeCell Impact protection and the ClickTight Installation System. The SafeCell technology includes a steel frame for extra rigidness and preventing dangerous injuries in the event of a car crash and extreme compressive forces, EPS energy absorbing foam base, and impact-absorbing tether. The headrest is also layered with energy-absorbing foam to increase the protection for the head. It also comes with a removable pillow. 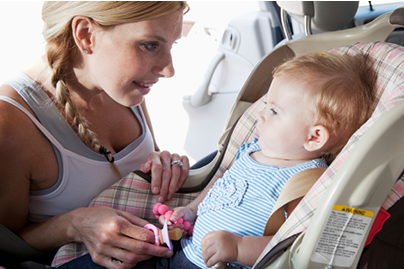 The ClickTight system facilitates installation of the car seat. It is both fast and secure. The SafeSnug harness indicator prevents the harness from being too loose. The Boulevard can be purchased for a relatively high price. While the price is above average, the seat is undoubtedly worth its money. 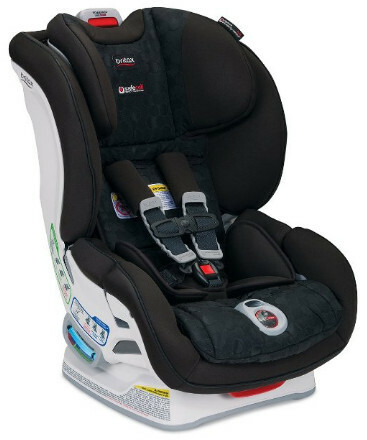 The seat, while compact, comes with all safety features Britax is known for. The NextFit is a simple compact convertible seat. While it cannot be used as a booster and its weight limits are not unprecedentedly wide, it still can accommodate children from 5 to 40 lbs in rear-facing mode and from 22 to 65 lbs in forward facing mode. Those are somewhat standard limits, however, the seat can be installed in small cars, unlike many other seats with similar capacity. The seat is designed for the maximum comfort for the child and is capable of functioning as an infant bucket seat. It is equipped with a 9-position recline system and a 6-position headrest. It is possible to combine the seat with an infant insert for very small and underweight babies. The NextFit is equipped with the Super Cinch LATCH Tightener for a tight and secure fit. It makes fastening harder in return. On the other hand, the safety is worth it. The convenience of the little passengers has not been neglected. The seat comes with a thermal-insulated cup holder. Additionally, it is equipped with a 2-position chest clip. The NextFit’s price is relatively high. In its turn, the seat is comfortable, safe and looks very good. The harness fits very tightly and is not even remotely loose. The Radian RXT is a 3-in-1 compact car seat. Not only is it a good choice for infants and toddler, but also a viable option for older children. The seat can be used in rear-facing mode, in forward-facing mode, and as a belt-positioning booster. Because of that, its effective life cycle is extremely extended. It is approximately 10 years long. The seat comes with a cup holder, it is possible to add 3 more. As far as accommodations go, the Radian is good for children from 5 to 45 lbs in rear-facing mode, 20-80 lbs in forward-facing mode and up to 120 lbs as a booster. Let us remind you that some booster seats have 80-90 lbs as their uppermost weight limit. The Radian has the same limit for the forward-facing mode when the harness is still actively used. Those are mere limits of the seat’s applicability. But its safety features are on par with its wide weight and age range. The Radian is equipped with a steel frame, side impact protection of reinforced side walls and EPS foam, and energy absorbing harness. The Radian also features memory foam padding, which cradles the body’s outlines, relieving the pressure of the muscles and allowing to ride comfortably for much longer than usual. What is more important is that the seat is FAA certified. That means you can use it for air travel. The main advantage of the seat is its wide applicability. It can be used for children of any age, it is a compact seat which can be installed in small cars, and it is approved by the FAA.